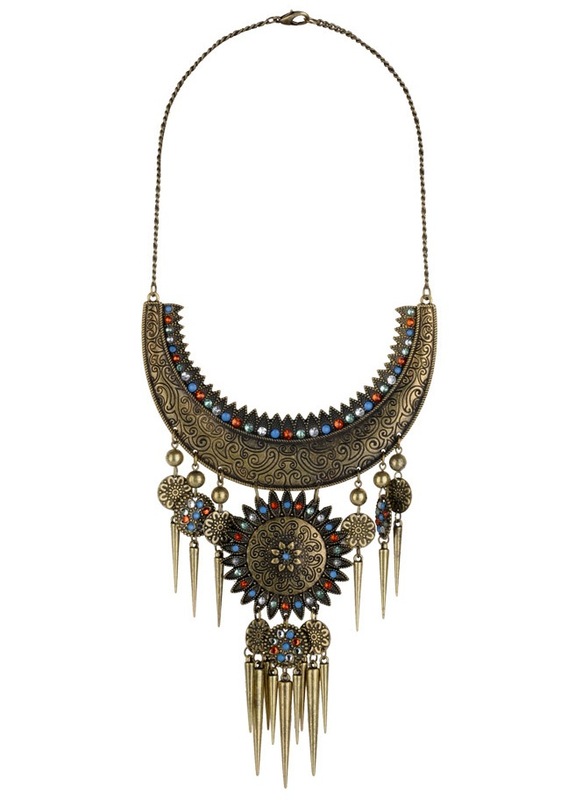 Collar necklace features embossed patterns, faux diamonds and spikes. Lightweight. Burnished finish. Cable chain.